The Kpop world in the Philippines is heating up again even though it's only the first quarter of 2015 and one concert promises to satisfy the Filipino Kpop fans' needs through a one-night-only star-studded concert. 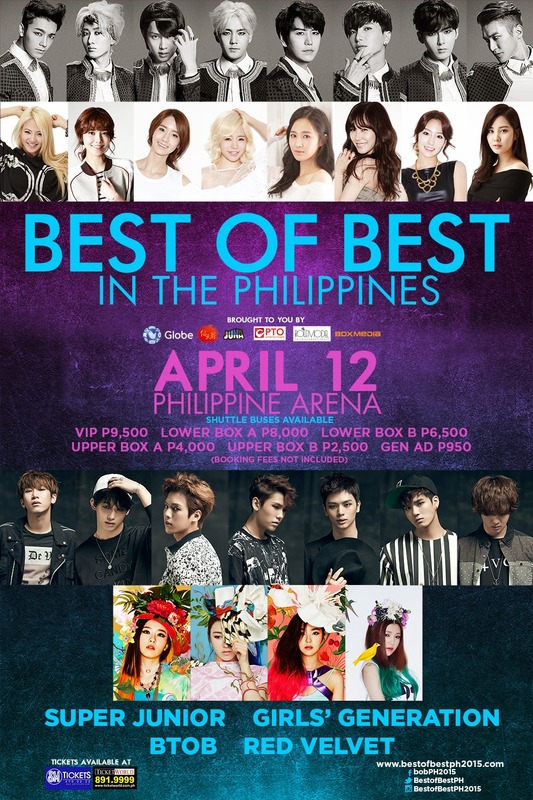 The Best of Best Kpop Concert is looking to be one massive Kpop event happening this year. Slated to happen at the biggest domed arena in the world - Philippine Arena, Best of Best will be featuring 4 of the biggest names in the Kpop scene. More about it after the jump. The concert that will be happening on April 12, 2015 will be headlined by 2 of the biggest names in Kpop. First is an all female group that even conquered the US a couple of years ago - SNSD or popularly known as Girls Generation. Second is Super Junior who are already quite familiar with the Philippines as they visited the country numerous times over the past years and even staged their own solo concerts (Click to check out my Super Show 5 Coverage). Joining the headlining groups are the 7-member boy group Born To Beat or BTOB and the four lovely ladies of Red Velvet. Logistic concerns is really an important issue for this show since this is the first time a Kpop show will be staged at the Philippine Arena at Ciudad de Victoria which is located outside Metro Manila in Santa Maria, Bulacan. The organizers have figured out a brilliant plan to satisfy the logistic concerns of the fans by providing shuttle express buses from 3 key areas in the Metro to take the fans to the venue. Shuttle Express Buses are exclusive to ticket holders and can be availed for only 50 pesos ($1) round-trip. 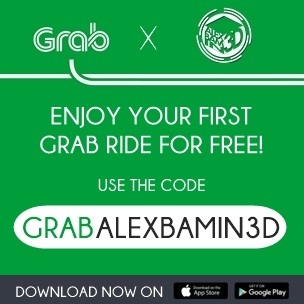 The 3 key areas where the shuttles will be located at Alabang Town Center, Intercontinental Makati, and at Trinoma Mall in Quezon City. Shuttle tickets can be availed when you buy your concert ticket. The ticket for the shuttle will include your chosen shuttle pick-up site (choose from 3 mentioned above). There will be a boarding time indicated in your shuttle ticket but boarding and seats will be on a first-come, first-served basis. Hold on to your shuttle ticket since you need the other one for your ride home after the concert. Ticket prices are already announced recently through Best of Best's social media pages are they are quite reasonable for the number of performers who will be gracing the massive stage on April 12. 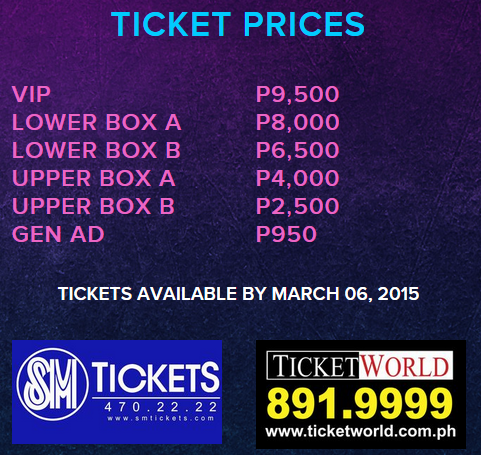 Tickets will be available starting March 6, 2015 at SM Tickets & Ticketworld and are priced at PhP 9,500 for VIP, PhP 8,000 for Lower Box A, PhP 6,500 for Lower Box B, PhP 4,000 for Upper Box A, PhP 2,500 for Upper Box B, and PhP 950 for General Admission. Booking fees not included. We managed to grab hold of the seat plan so you can start preparing and choosing what ticket you will get once tickets are already available.  As you notice, the upper tiers of the arena will not be fully used which means everyone can get to watch it closer -- because seriously, you don't want to sit at the top tier with the artists looking like small ants, right? Just a note that the seat plan below does not include the stage layout as the organizers are still working on the final stage layout for the show, as of press time (Editors note: the seat plan below has been updated with final stage layout). On the other hand, we received info that all seats are reserved seats, so those who will be buying on Friday will get first dibs on seats. 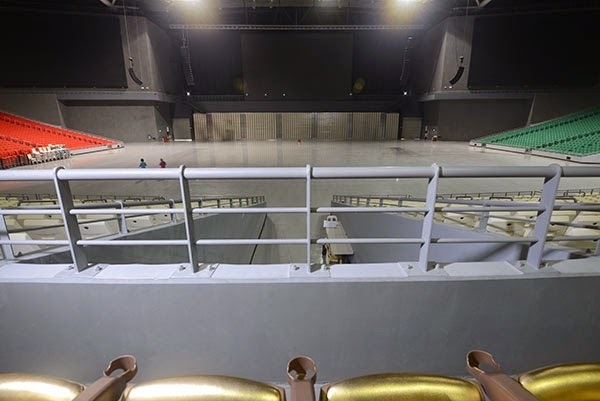 If you're wondering how is the view from different parts of the Arena, Ticketworld provided some visual guides. All photos below belong to them, so make sure to visit www.ticketworld.com.ph and give them some love for providing this. So, are you ready for this massive show? Let us know in the comments below your thoughts about the concert and what are you looking forward to see during the Best of Best in the Philippines on April!